Metastatic infiltration of peri- and extra-gastric lymph nodes has been defined as the strongest, independent, dismal, prognostic factor, for both early and advanced gastric cancer patients. 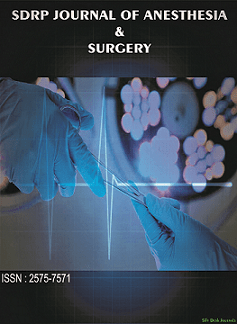 The most recent guidelines clearly stated that for non-locally advanced gastric cancers, surgery has the central role in all available therapeutic modalities and D2-lymphadenectomy has become the “gold-standard” surgical technique, since the most recent data disclosed that after a median follow-up of 15 years, D2-lymphadenectomy was associated with lower locoregional recurrence and gastric-cancer-related death rates, compared to D1 surgery. It could be proposed that by performing a D2-lymphadenectomy, metastatically infiltrated perigastric lymph nodes, preoperatively undetected by the available imaging modalities, coexisting micrometastases, coexisting skip metastases and micrometastases are resected. Thus more R0 resections are achieved, in fact probably leading to locoregional control of the disease, better outcome and increased survival. Thus, in order to avoid leaving undissected possibly metastatically infiltrated lymph nodes, surgeons commonly perform extended lymphadenectomies, even in cases of early gastric cancer tumors. On the other hand, it is well known that D2-lymphadenectomy carries significant post-operative morbidity and mortality rates, thus the necessity for a more tailored lymphadenectomy has emerged. In this field, literature addresses the central and crucial role of the solitary lymph node metastasis (which represent the first lymphatic drain basin), in correlation with the location of the primary tumor and the sentinel lymph node concept has been applied on the clinical practice. In order for the overall postoperative morbidity to be minimized, laparoscopic and robotic D2-lymphadenectomy is performed worldwide. Although, very promising results have been published, a critical approach is required, since the long-term results are missing. Finally, many times, surgeons are confronted with unexpected and pre-operatively undiagnosed intraoperative findings, such as perforation of a gastric tumor or peritoneal tumor deposits. Definite conclusions on those fields are missing. In this Research Topic, many clinical experts on gastric cancer will present Reviews or Mini Reviews on all the previously mentioned subjects. The goal is to make a useful conclusion regarding gastric cancer surgical treatment for the European surgeon.